Found in the Borough of Rochdale, Middleton is part of Greater Manchester. It has a population of around 43,000, and a range of affordable housing perfect if you’re a first time buyer or looking for great value in your home. At My Home Move Conveyancing we offer a specialist, fixed fee conveyancing service, and have been developing our knowledge and expertise of property markets like Middleton’s since 2001. If you want to buy or sell property in Middleton, you’ll have to instruct property lawyers to carry out the legal work on your behalf. By choosing My Home Move Conveyancing as your Middleton conveyancers, you can enjoy our award winning customer service, innovative use of technology and expertise in the local market. Our market-leading, professional conveyancing service comes for a fixed fee, so you know exactly what you’re paying right from the start. What’s more, thanks to our ‘no completion – no fee’ policy, if for some reason you don’t end up completing, you won’t have to pay us a thing. We assign a dedicated conveyancer to all of our clients, who’ll look after your case from start to finish, and provide you with regular updates on your progress. 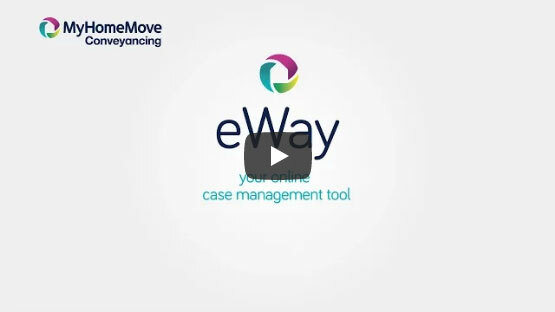 At My Home Move Conveyancing, we bring a positive approach to everything we do, and get things right first time round. We’re pleased to provide our conveyancing services in Middleton to homebuyers across the area, whether you’re looking to be close to the town centre, in a neighbourhood off Manchester New Road, or in a nearby spot such as Langley or Stanycliffe. The average house price in the Borough of Rochdale is £121,490, while the overall average sale price in Middleton over the past 12 months was £131,794. Most sales involved semi-detached houses, which went for an average of £138,581. Terraces fetched £95,724 and detached properties £231,671. With a history believed to date back to the 7th century, arising as part of a wave of Anglo-Saxon settlements also including Ashton, Moston and Royton, Middleton was a centre for flannel and woollen cloth production during the Middle Ages. The Industrial Revolution brought significant growth to Middleton thanks to its importance in the textile industry, while the modern town has plenty of amenities and a great location close to Manchester. It’s only around five miles to Manchester city centre, but as Middleton no longer has its own train station, you’ll have to catch the bus for a quick journey down Rochdale Road. The nearest train station is only about a mile away in Chadderton, with services from Mills Hill to Manchester Victoria taking just over ten minutes. Middleton has great access to the M60 ring road and M62 motorway, while Manchester Airport is approximately 20 miles away. There are plenty of schools in the local area for families with children to choose between, including Parkfield Primary, St Peter’s RC Primary and Alkrington Primary. For older children, Middleton Technology College, Our Lady’s RC Sports College and St Anne’s Academy are among the options at secondary level, while Manchester’s universities are on the doorstep if you’re looking for higher education facilities. All properties in Middleton will fall within one of the following council tax bands.